Merry Christmas and Happy New Year! Jacob and I were talking recently about this year. It has been hard and good and chaotic and full of growth. We aren’t sure we would choose to do it again! Nevertheless we know full well that the hard parts of life often bring out the best parts of us. 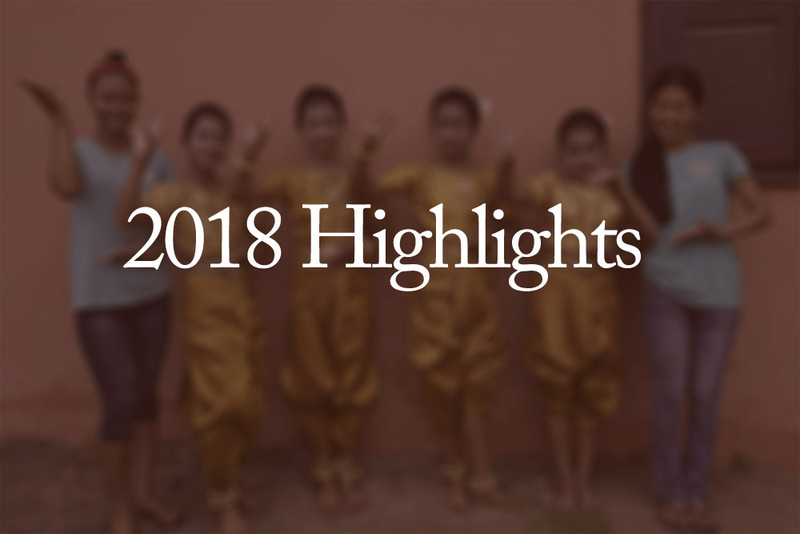 As promised in our last newsletter, we have included our most significant moments of our year below. Yay! BUT before we get to that, we wanted to give you an opportunity to consider making an end-of-year donation (tax-deductible). Whether you are a monthly partner or give occasionally, your support helps us live intentionally and work effectively. It also helps us fulfill the dream in our hearts of laboring alongside Cambodians to strengthen this nation we now call home, protect children, build healthy families, encourage education, prevent human trafficking in all its forms, and introduce people to God’s love and hope. If you would like to partner with us or give in specific ways for the new year, we have listed a few of our needs below. 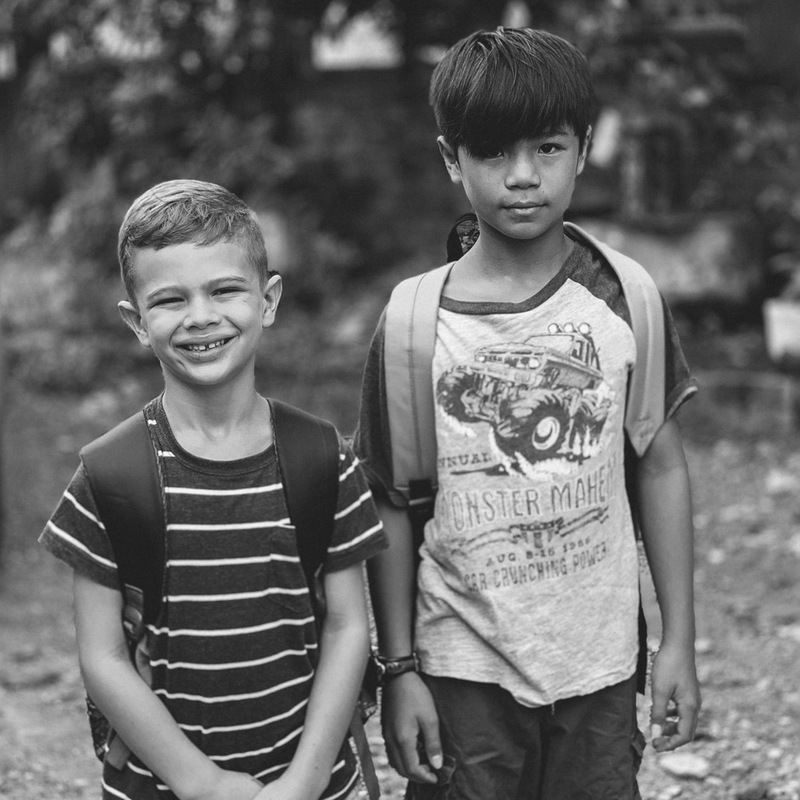 Aaron and Caleb attend an international school in Kampot and Aaron also studies Khmer in the afternoons at a separate location. Next year we will be starting Jack in preschool. We need to raise an additional $500 of monthly support to supplement these growing school costs. 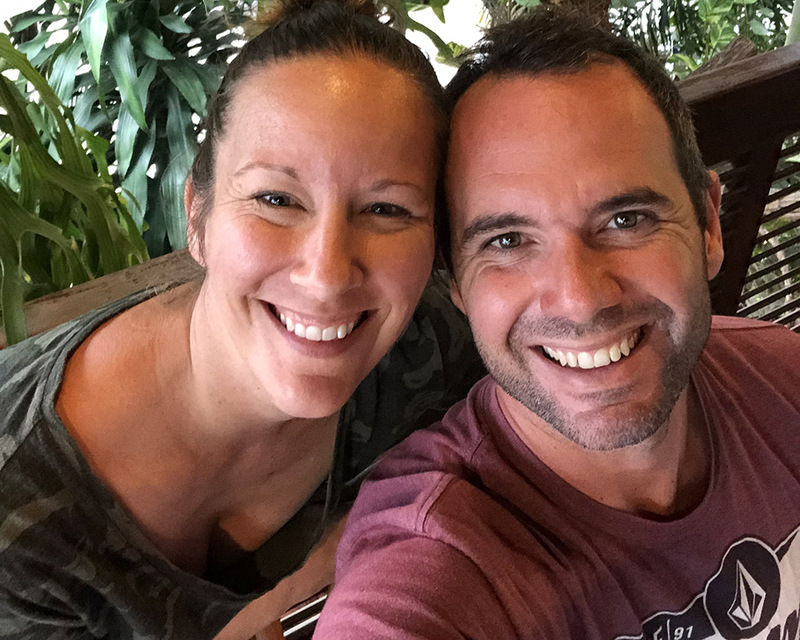 With supporting the continuing work in Sihanoukville, Jacob travels quite a bit more which means extra wear on our vehicle and gas, lodging and food expenses, and additional transportation expenses back home for Noelle. We want to raise an additional $300/month to compensate for these increased expenses. Stay tuned for some exciting developments happening this coming year in Kompot! In short, we are looking to start a Vocational Training Program for kids in Sihanoukville that are unable to complete their education through the government school due to a variety of factors and/or are at risk. We would bring them to Kompot, provide housing (dormitory) and help them train and learn a skill they love while working on Khmer literacy at the same time. Kompot’s environment is not chaotic like Sihanoukville, so we believe Kompot will provide some space for kids to take a break from the messiness and focus on their futures! At the end of last year, we took over a leadership role of the Sihanoukville base. We said yes, not knowing what kind of year and challenges lay ahead. We have learned so much about each other, ourselves, leadership, cross-culture work, and walking out faith with others in the past year. Grateful, grateful, grateful for the learning! In spite of many challenges and changes, we continue to see growth in trust and the effectiveness of our work in the Blue Mountain community. Even in the midst of uncertainty, we see glimmers of good, deep things happening in children and families. With Jacob traveling more, I am more focused at home than ever before. I have struggled at times with feeling disconnected from the bigger picture of Cambodia, but I am encouraged by the growth in our children and our relationships with them. They are blossoming with creativity, personality, and faith. So we are 40 now. Can you believe it?! Neither can we. As Caleb said the other day, “Just a few more days until you are a grandma.” Um...what?! The rapid development in Sihanoukville and its impact on the Khmer people is very difficult to describe. I (Noelle) made a day trip there two weeks ago and wept that night for the sense of loss and change I feel in the city. We are learning deep lessons about change, faith, and injustice that we don’t quite have words for it yet. Without a doubt, one of our greatest joys this year has been our Khmer team. We couldn’t ask for better friends and co-laborers. These men and women are sincere, kind, faithful and passionate. We think the world of them! We never thought we would be a family with animals. Hm...yet here we are. We love our furry family members. They bring humor and fun to our lives! So now what? A new year awaits and we feel a sense of hope and anticipation. We are learning to love our new town, Kampot. We are expectant for an expansion in our work and vision of what can be here, perhaps first through a vocational training center. (More on that in the new year). And we are standing steady in Sihanoukville - loving with open hearts and hopefully being a source of strength and encouragement as we continue to grow the Dream Center. Here I am. Again. Thinking about blogging more regularly. Again. 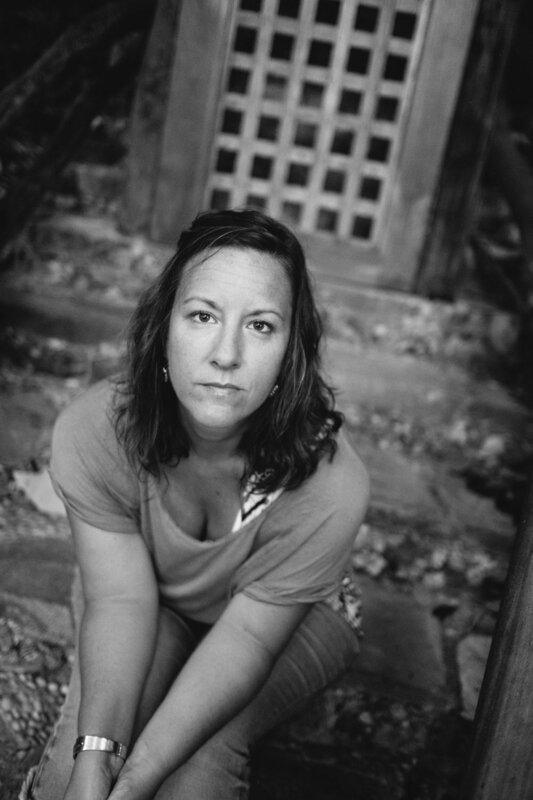 The last time I said this I made a bold pronouncement that I would blog weekly. That was over two years ago. Sigh. No such brave proclamations this time. I am, perhaps, a bit more realistic in how these things go. HOWEVER, I do feel an urge to go at it again. I do have some things I’ve been wanting to put out into the big world for others to ponder and respond on. I have realized that, because I have such a high value on the permanency and enduring value of the written word AND because we all seem to be saying SO much these days with social media, that I don’t want to say something just to say it. You know what I mean? That said, it doesn’t mean I shouldn’t say anything at all. So here we go tip-toeing our way through the land mines of too much and not enough. As a way of easing back in, I thought I would catch you up. Here are some of the latest happenings in my world. My husband and I live in Cambodia (hence the title of this blog). We have been calling this beautiful and challenging place home for almost 9 years. Living in Cambodia has been an unearthing of who I was created to be and what makes me come alive in the best and hardest possibly ways. Almost three years ago, we moved to a coastal town, Sihanoukville, to be a part of a beautiful town and a beautiful work with a beautiful people. We are still a part of that beautiful work with many beautiful people. The town is currently going through a lot of challenges but we feel called to stay steady, to be present and alert, to keep our eyes and hearts open to the fruitful work happening in people there. Due to inflation, our international team relocated to Kampot (about 1.5 hours away). I miss Sihanoukville and I am learning to love Kampot at the same time. The tensions of joy and sorrow, losing and receiving, the known and the not yet produce the greatest growth in us, don’t they? Changing things are growing things. We see this in our Dream Center in Sihanoukville right now. As the city shifts, our desire is to go deeper and love more. My main thing right now are the faces you see below. I am mom to three wonderful, intense boys and one furry, slightly gross boy puppy. I have many dreams and desires in my heart but THESE ones...well they are my biggest gift and responsibility at the moment. Did I mention I love Cambodia? I DO. I am grateful to have a soft heart and clear eyes even in the midst of many challenges and difficulties along the way. Proverbs 31:16 (Passion Translation) has been a guiding verse for me over the last year or so: “She sets her heart upon a nation and takes it as her own, carrying it within her. She labors there to plant the living vines.” May it be so. Amen. We mentioned in our last update our plans to move there but wanted to take time to explain what led us there specifically. Located about a four hour drive from Phnom Penh, this town of 200,000 sits on the Gulf of Thailand. We started traveling there in 2010 for short vacations. It was around that time that we also began to have dreams. Not daydreams but in the night, while-we-were-sleeping dreams. It was interesting and strange! We had never experienced this sort of thing before. We knew from the Bible that God does speak in dreams but we had never personally experienced it. After we had about 5-6 between the two of us, we realized we should pay attention. Many of our dreams have included young people and children. Some have been very specific and some more general. We have been praying through and giving thoughtful attention to these things over the last five years as we have visited Sihanoukville multiple times. Jacob and I are not prone to rash decisions…we both have a planning side. So this heart connection with this place first through dreams and then through many discussions has been a slow, growing process. In 2010, Sihanoukville was an interesting mix of Cambodians, creepy old western men, backpackers, expat workers from Phnom Penh on a weekend visit, and the occasional European family vacationing. Over the last few years it has grown, largely due to the infiltration of the Russian mafia (not kidding) and a mass influx of Chinese businessmen. Everyone believes this little seaside town is set to grow exponentially over the next ten years. Unfortunately, while economic growth is a wonderful thing, it can cause major problems in a third-world country as a few select become massively wealthy and the poor become desperately poor. Desperation opens the door for all kinds of problems — decrease in education as children are forced to work to support the family, trafficking of all kinds, health issues as medical care becomes a luxury, alcohol abuse due to depression and hopelessness and so on. It is a strategic time for Sihanoukville and we are excited to be there to proactively help Cambodia grow and develop. For the last 10 months, we have been researching ministries and organizations working in this area. There aren’t too many yet! We recognize that this move is significant for our family and we want to exercise wisdom in having the support of community. We have been thankful to meet and connect with the Iris team working down there. They have been so welcoming and friendly as we have explored the possibility of moving there. Over the next few months we will be sharing more specifically what we will be doing. We are excited! Our plan is to move when our lease is up at the end of March. This is a big transition and we would love your prayers. The right house for our family. Peace in everyone’s hearts, especially our kids. Protection physically, spiritually, mentally and emotionally. Continued clear direction and open doors in what we will be doing. Additional funding and support as we transition into new ministry. Healing for Jacob’s back. He has been having chronic pain for about a month now. Since schools are not so great in Sihanoukville, we are planning to homeschool Aaron and Caleb for at least the next year. We are exploring the idea of having someone in their twenties who would love some overseas experience to come live with us and help us with schooling. This would be a great opportunity for someone interested in testing the waters of living internationally but do so in a safe, family environment. Plus the beach is RIGHT THERE. We would offer free room/board. They would be responsible for their plane ticket, transportation, and any extra expenses. Schooling would be about 15-20 hours/week and we could connect this person with additional volunteer opportunities if they wanted to make it more outreach oriented. If you know someone who might be interested, we would love to begin talking with him/her. Email us with ideas! Recently, I posted something on Facebook about dreaming. The Lord has reminded me to dream big and not until recently, I would say "dreaming" has been more on the absent side. I'm so thankful for its return! It's been wonderful to have time to meditate and just have space to navigate thoughts going in and out. I say all of this because this week, we spontaneously took a trip to Kep, (pronounced Kgipe) and it has to be one of the most peaceful places in Cambodia I've been -- a perfect place for dreaming! It's about 2.5hrs from Takhmao (where we live) and it's located down the coast from Sihanoukville (where we normally go). The beach isn't worth writing much about, but the lush mountainous (for Cambodia) terrain is surprisingly beautiful and peaceful. It's a quiet town that draws a handful of tourists but has a small local population so it doesn't seem congested. Kep National Park is beautiful and the beachfront is perfect for morning/evening strolls. We stayed at Spring Valley Resort which is tucked in at the base of Kep National Park. Some friends of ours recommended it and we loved it! We couldn't stop saying how peaceful and quiet the town was. It was a bit disturbing at first, because we are both used to the hustle and bustle of a busy city like Phnom Penh, which happens to be disturbingly congested. Unfortunately, we were only gone three days, but it was a perfect little getaway from the busyness here in the "big city." We also made a wonderful connection at a place called Kep Coffee (highly recommended). We connected with this beautiful couple right away making the trip worth it for this alone. They have set up a coffee shop and do different things to reach out to the Kep community. And lastly, I had plenty of time to do something I love -- take photos :). Enjoy. The boys got to eat on a giant mat and watch Annie while they ate. The restaurant from the end of the pier.